40 years into his career, Lee Yuan Ching brings a selection of his ink paintings and ceramics works to the UK for the first time in his solo exhibition ‘Before Limbo’. Each work presented in the exhibition was created in unexpected and unplanned moments of inspiration. This body of work is in many ways Lee’s reflections on time: both the cyclical and repetitive nature of time, as well as the uniqueness of each moment within those repetitions. ‘Before Limbo’ shows the work of an artist on the edge of his creative self. Having broken through the ingrained walls of his traditional beginnings we now see an artist with both the freedom to express and the skill to execute that expression. ‘Lee Yuan Ching’ is a renowned Taiwanese artist working predominantly in watercolour and ink. Lee started at a very young age by practicing calligraphy with his father and went on to train as a traditional Chinese painter. 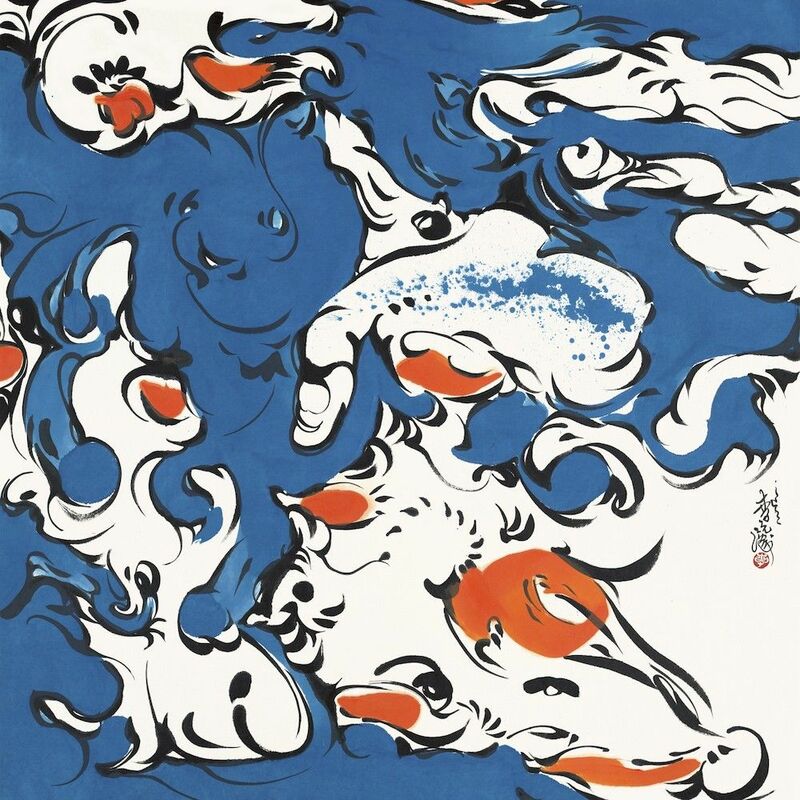 Since his early 20’s his work in both calligraphy and painting has been shown across Asia and has won a number of awards. Over the development of his career Lee’s artistic expression has acted as vehicle for his pursuit of the ‘true self’. Through his many works in painting, on ceramics, and calligraphy, he has established his own contemporary approach to traditional ink painting. Through his free-from style practice, Lee aspires to understand the deepest emotional nature of humanity. Lee is currently living in Taipei, Taiwan, with his wife and daughter. He works as a professional artist and teaches in Fu-Jen University.